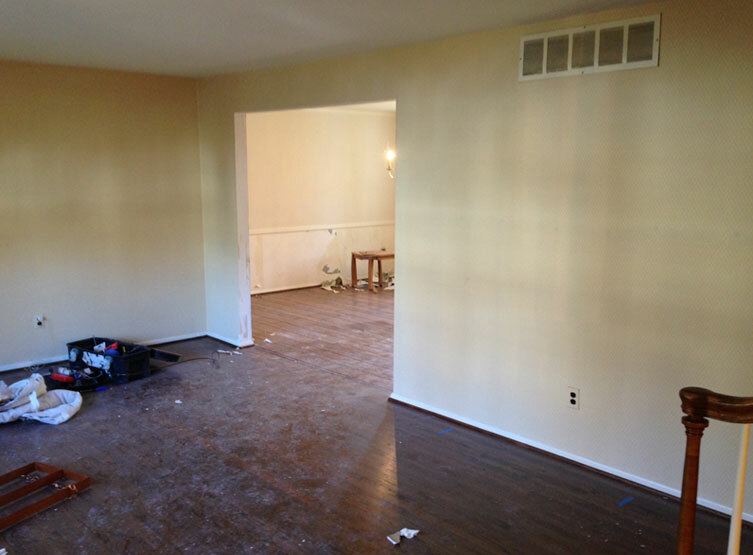 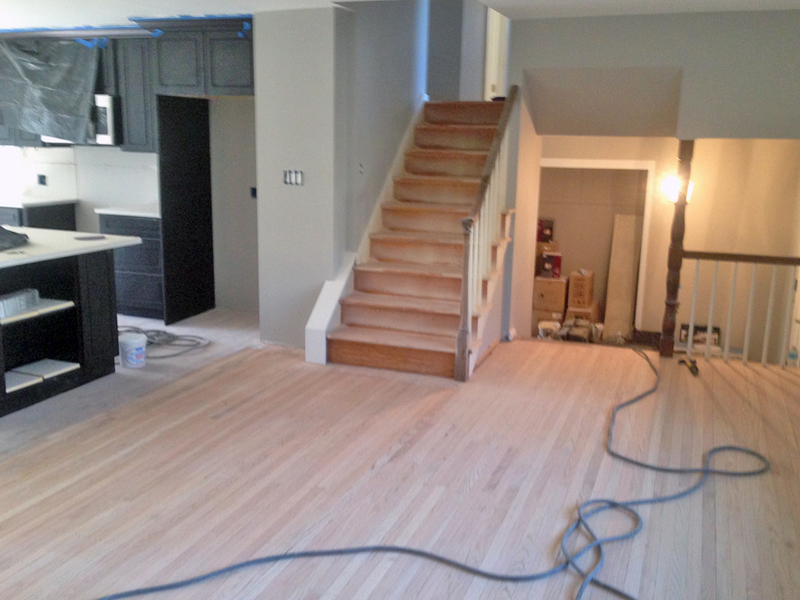 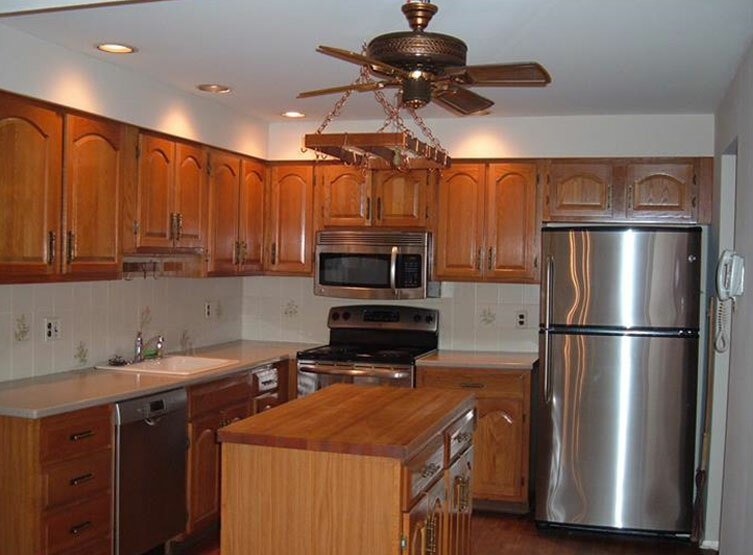 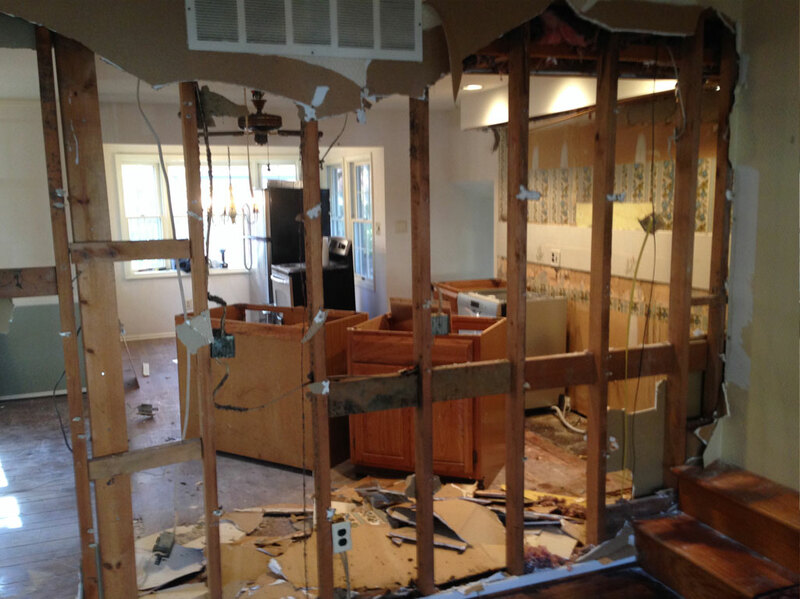 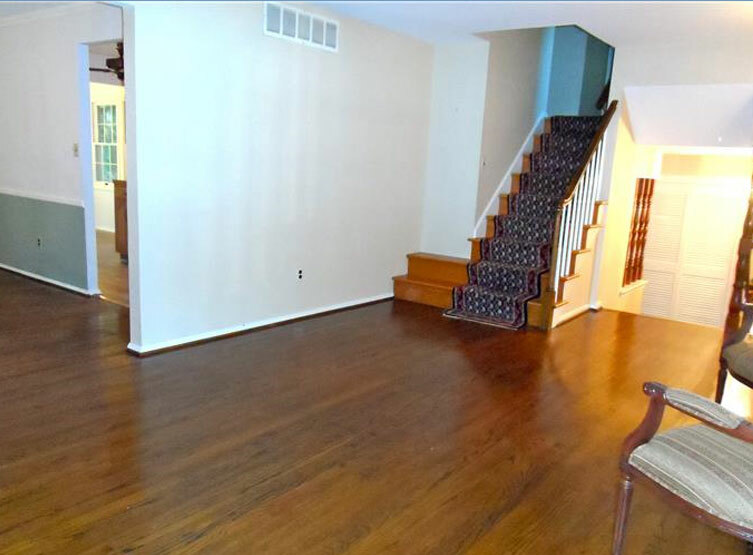 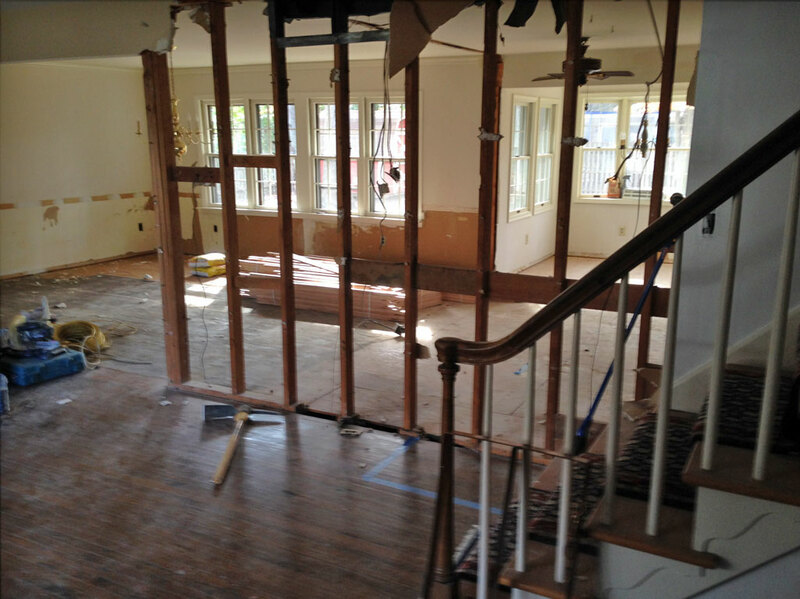 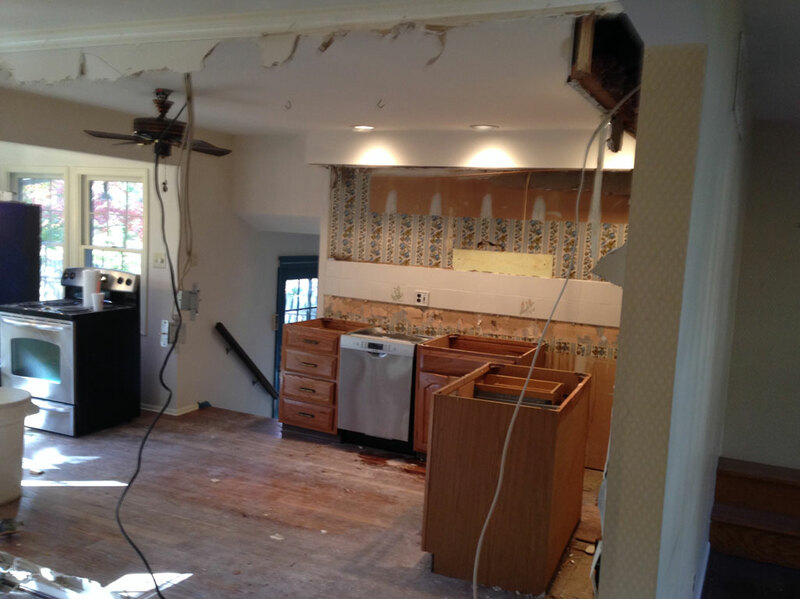 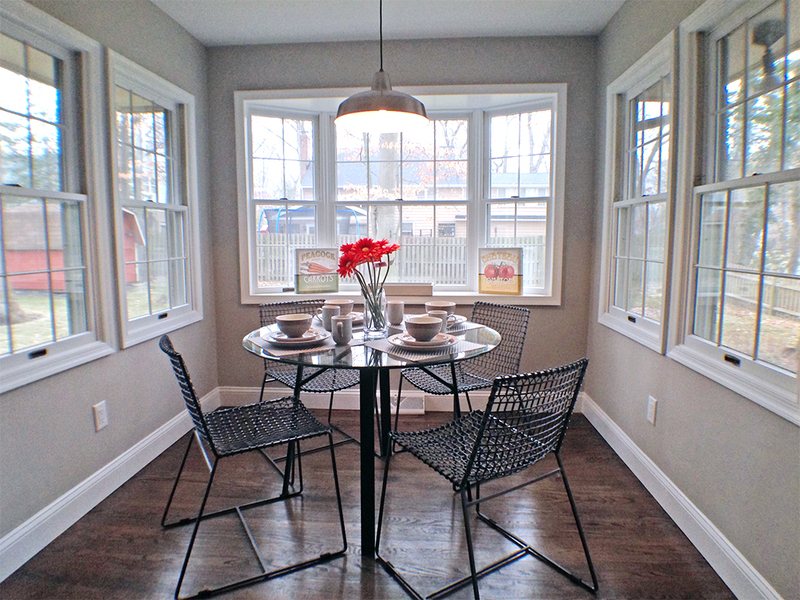 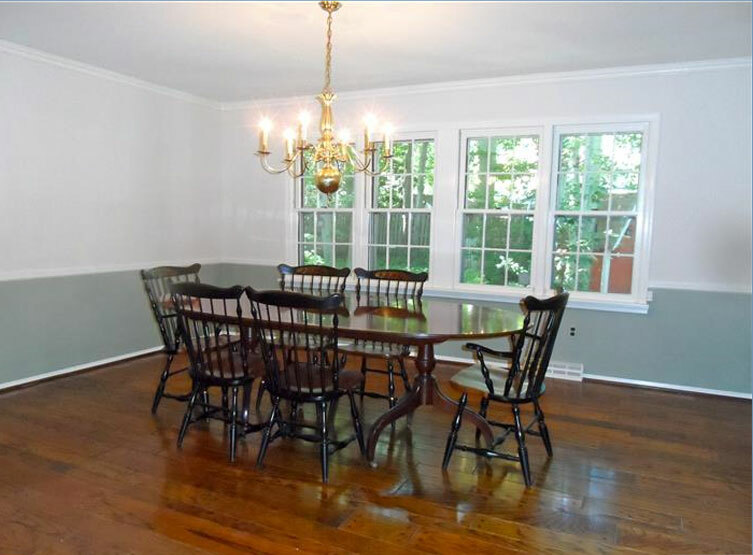 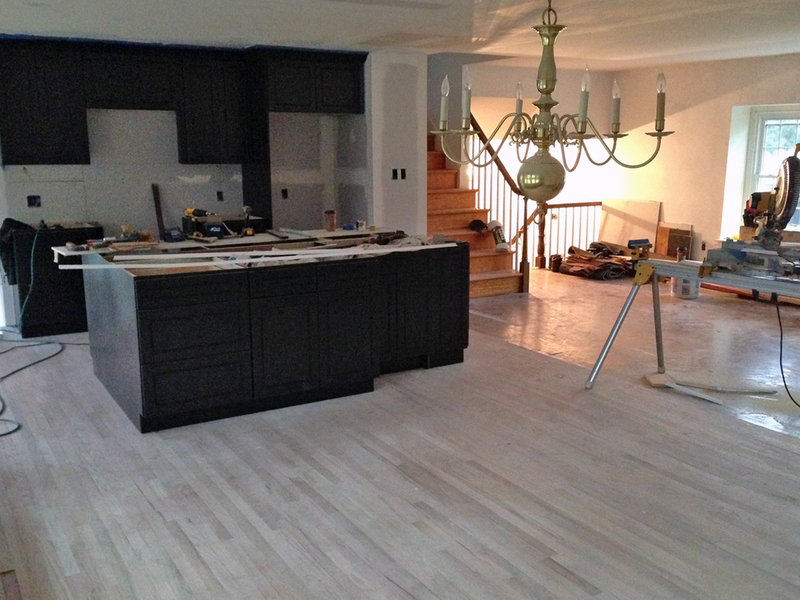 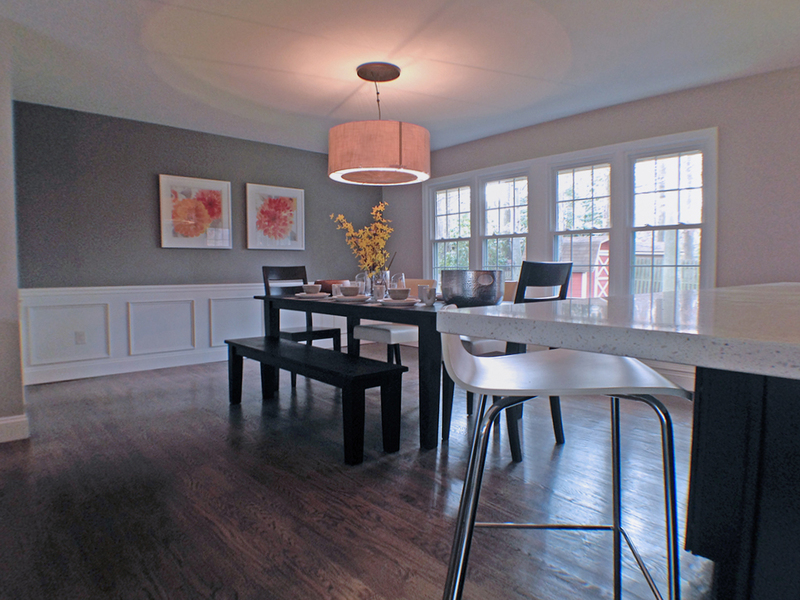 For this particular Cherry Hill kitchen remodel we had to take a split level home that had a living room, kitchen, dining and small eat in breakfast area that was all broken up and create one large open concept living space. 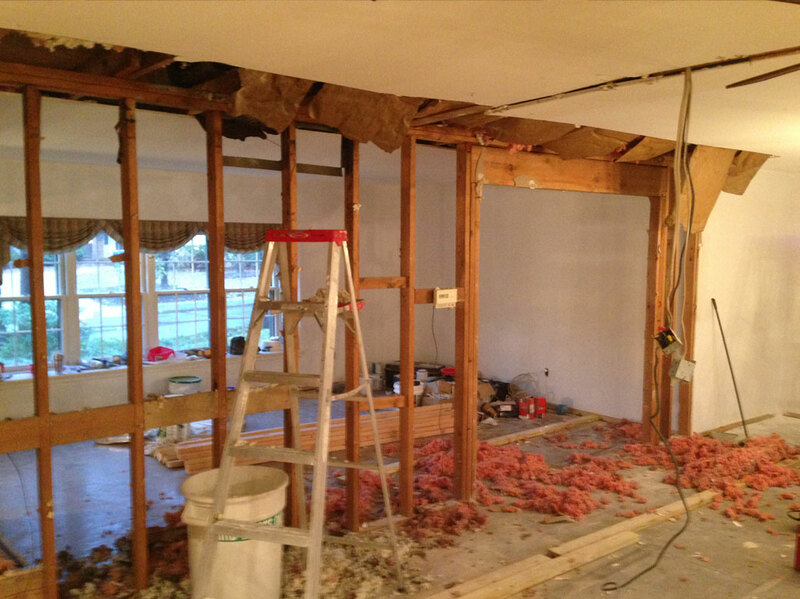 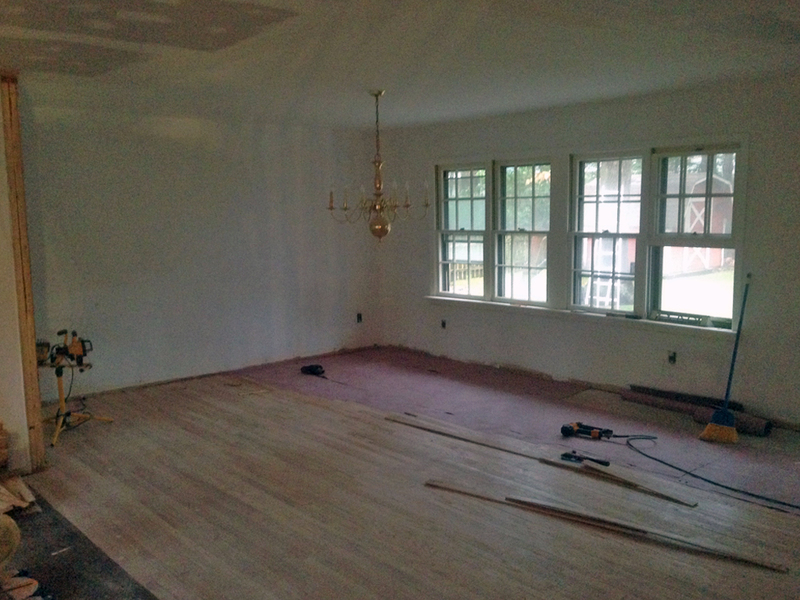 By removing all the interior walls and adding a beam the length of the main floor we were able to achieve our objective. 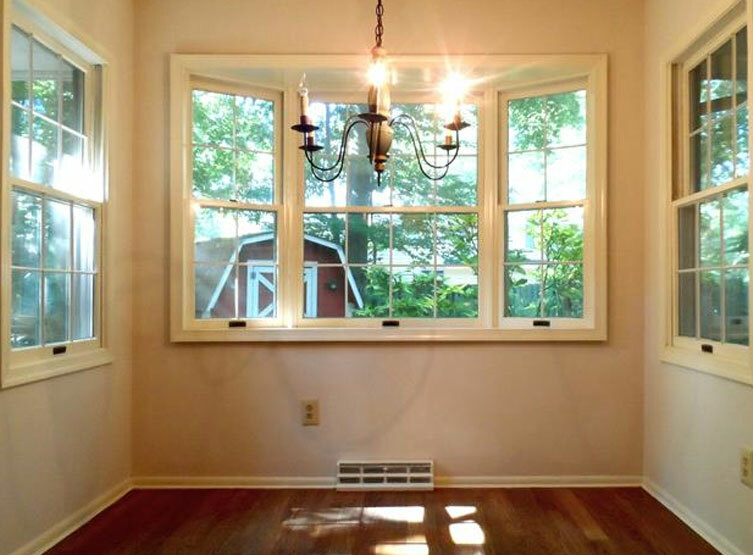 This allowed light to reach from one side of the home to the other. 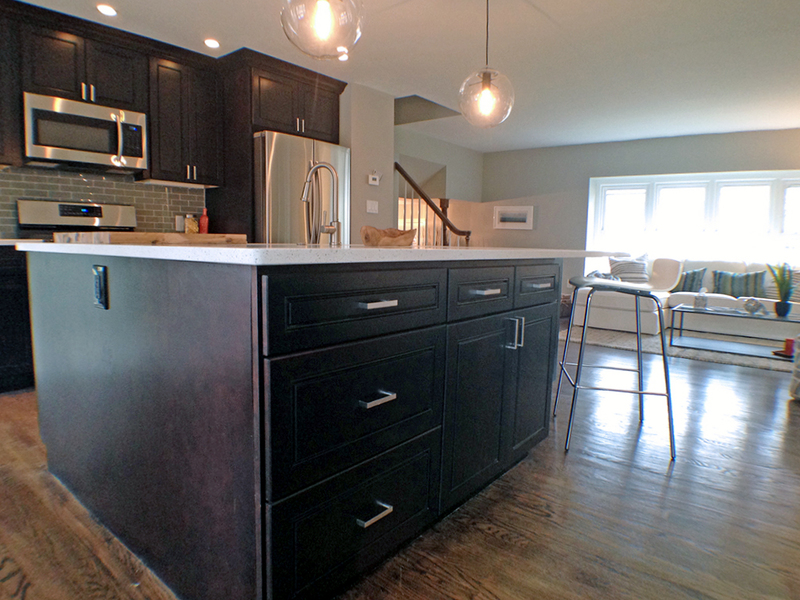 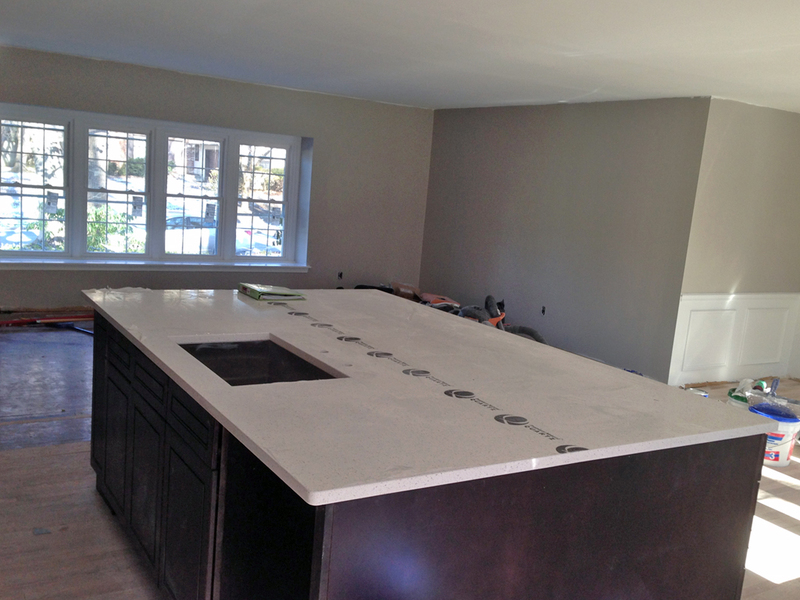 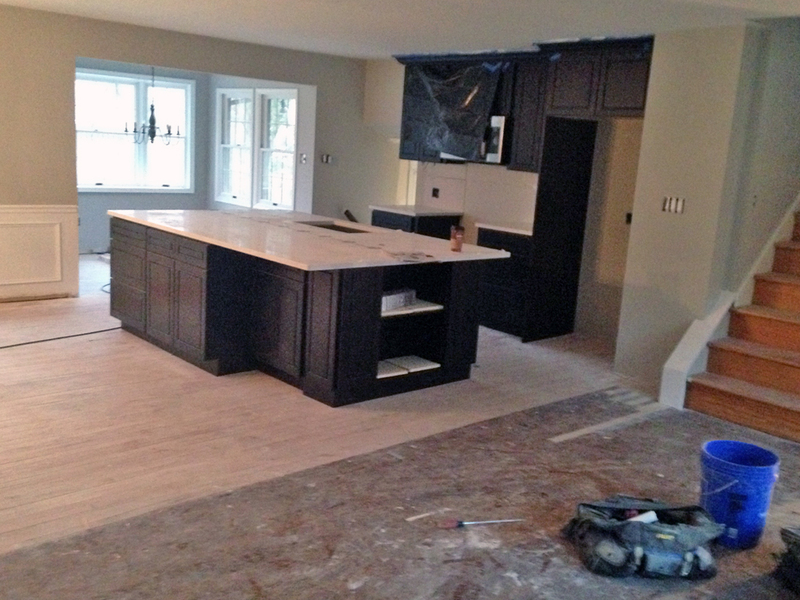 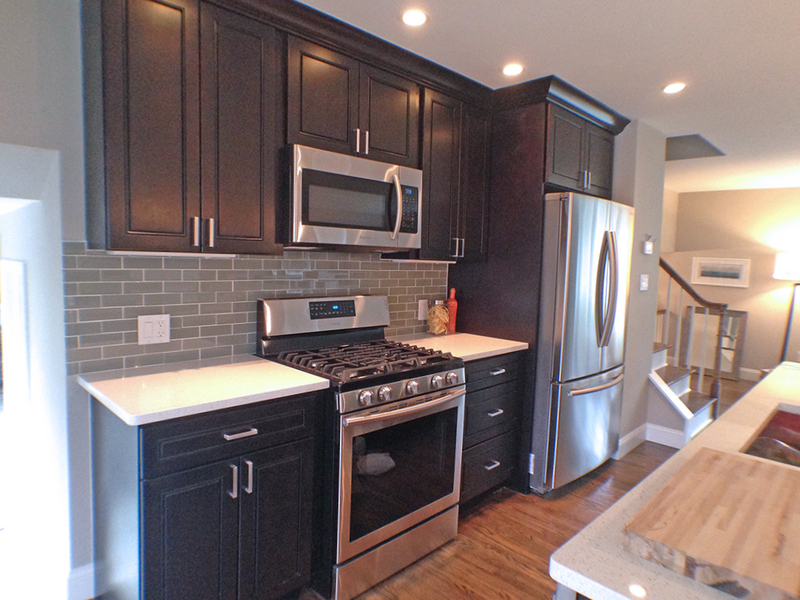 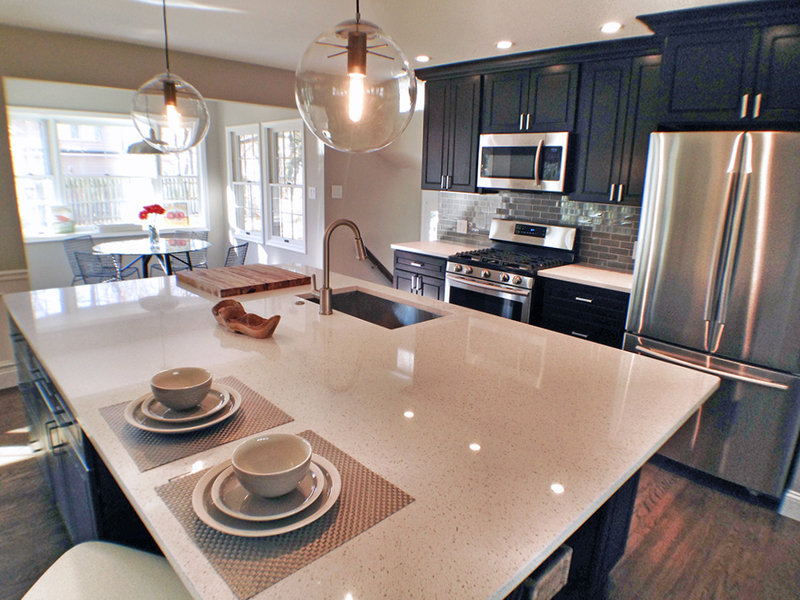 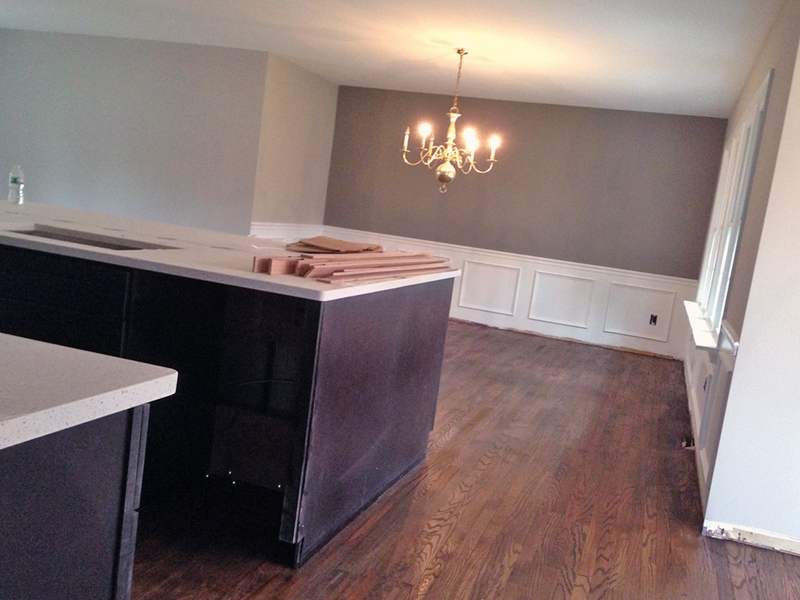 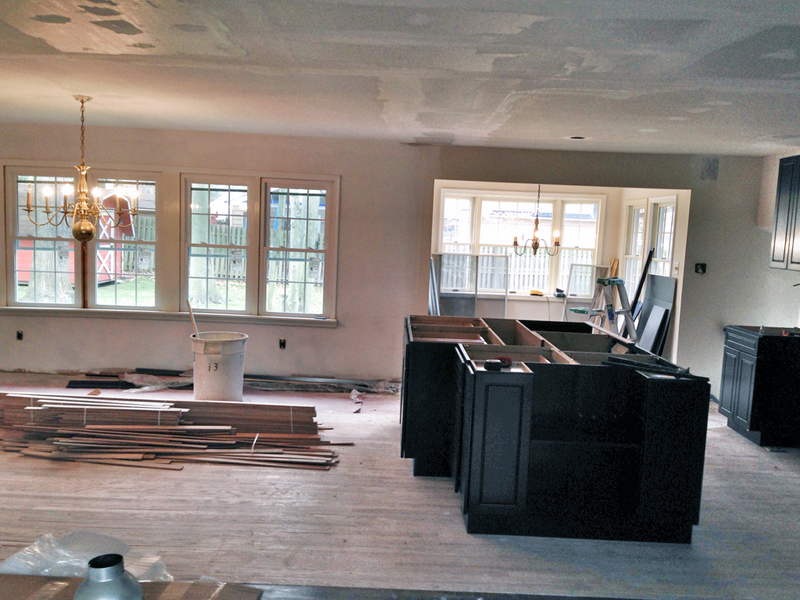 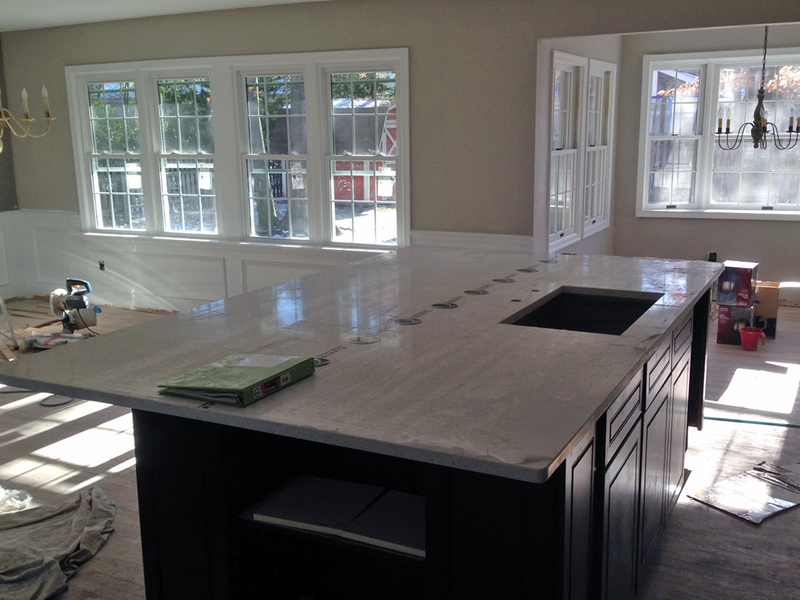 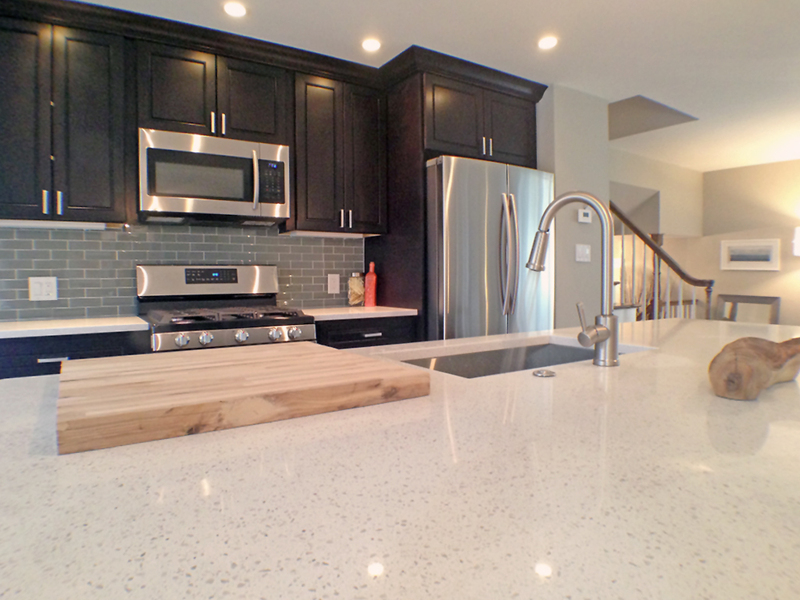 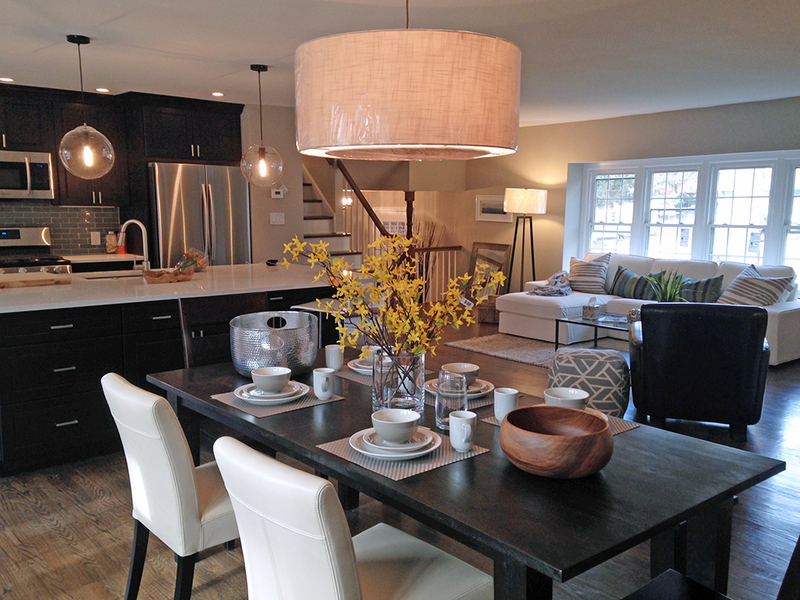 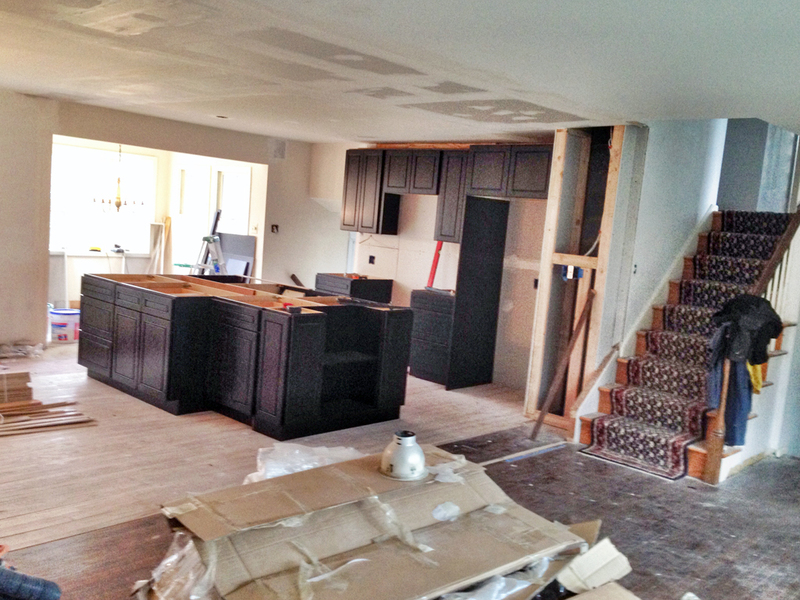 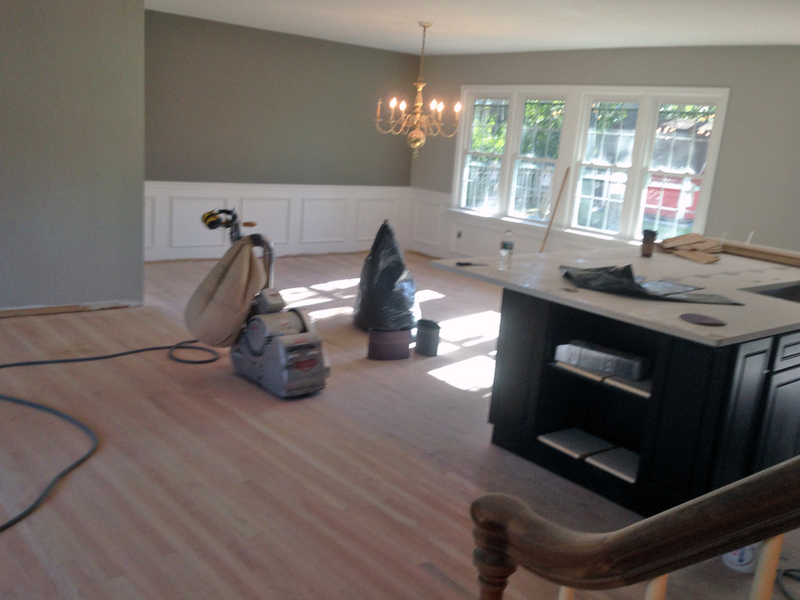 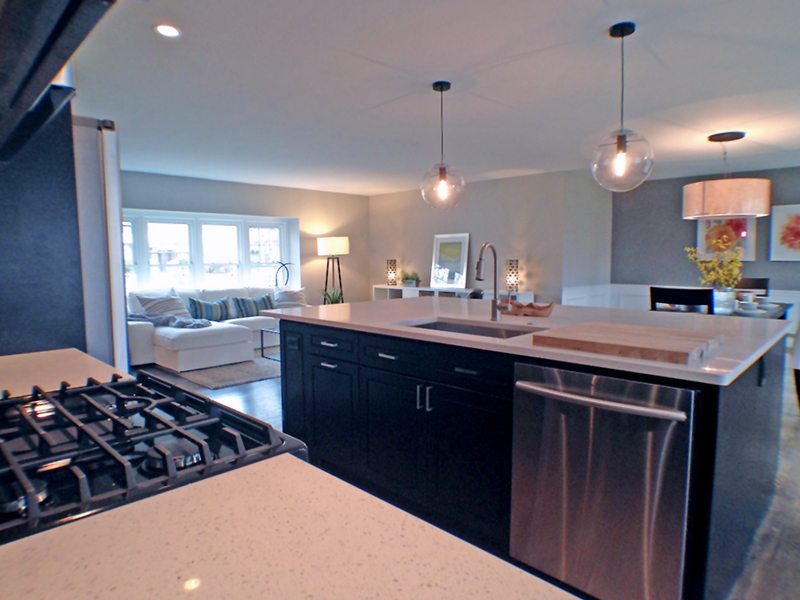 This new layout gave us the ability to add a large island with lots of storage and seating. 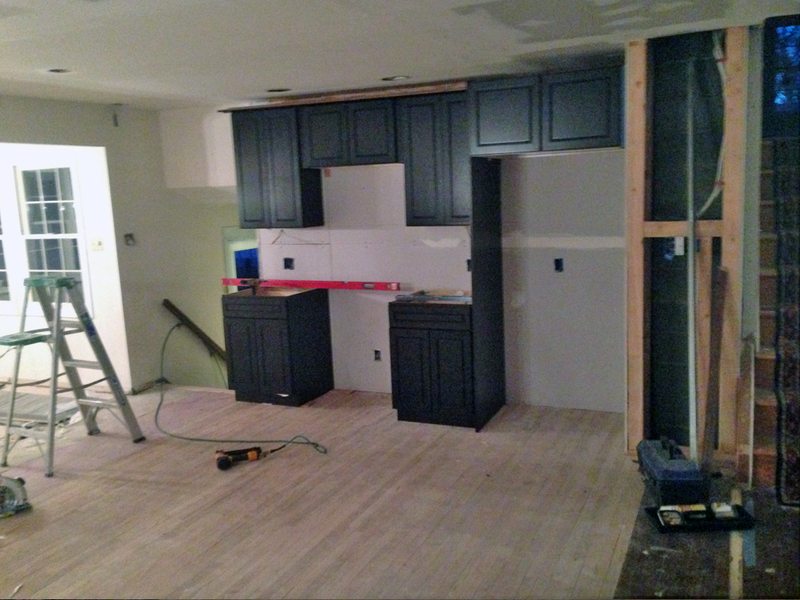 Check out the pictures below for a greater idea of the amount of planning involved in this project. 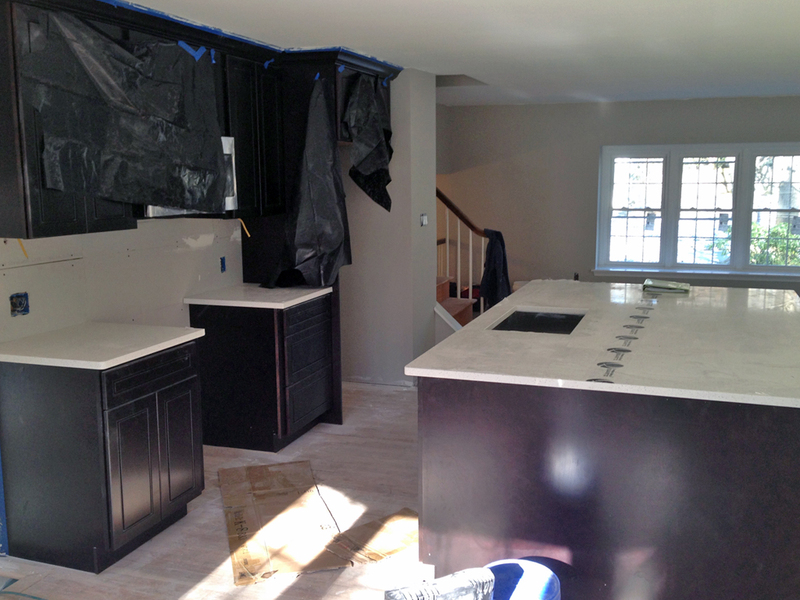 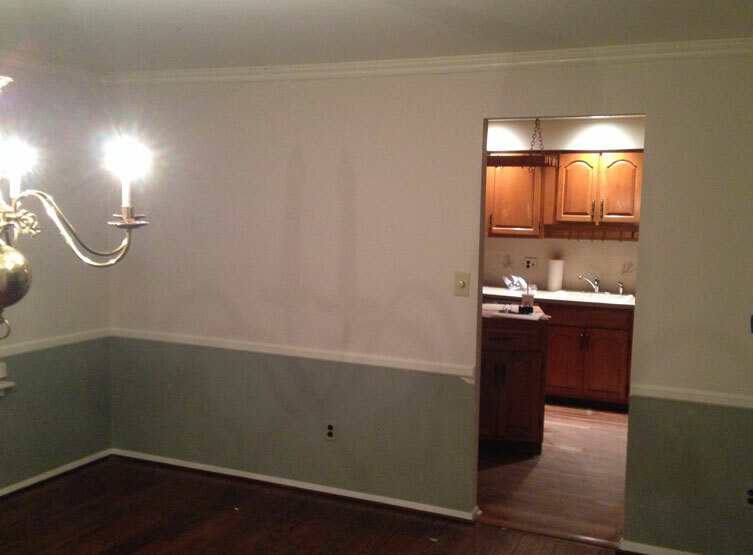 If you have any questions or would like to plan your next kitchen remodel project in the South Jersey area please reach out to Konversion Construction by calling 856.296.5499 or simply filling out the form to the right.